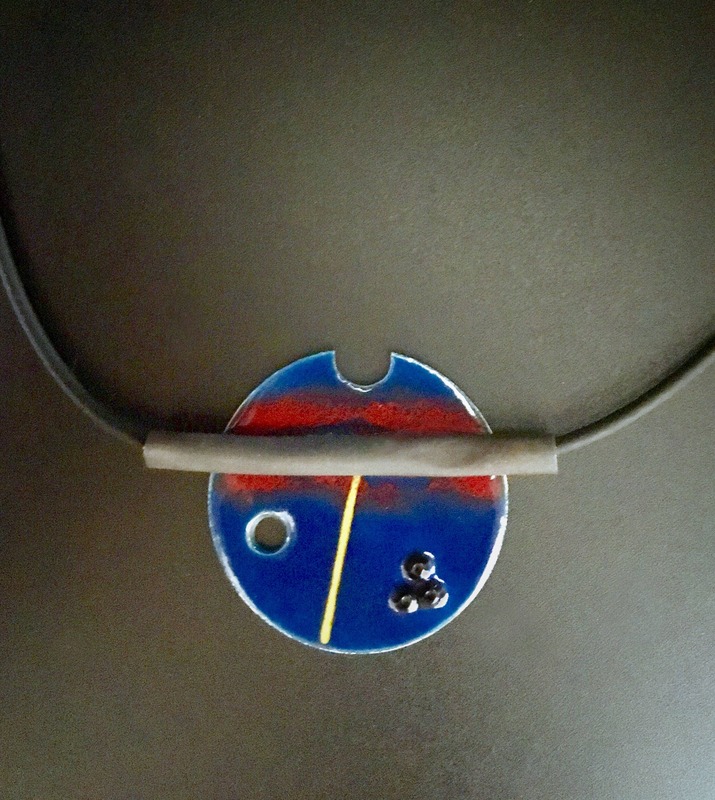 Vivid EnamelArt vitreous enamel on Sterling Silver necklace. Azure blue and crimson red enamel, embellished by a bright yellow accent. 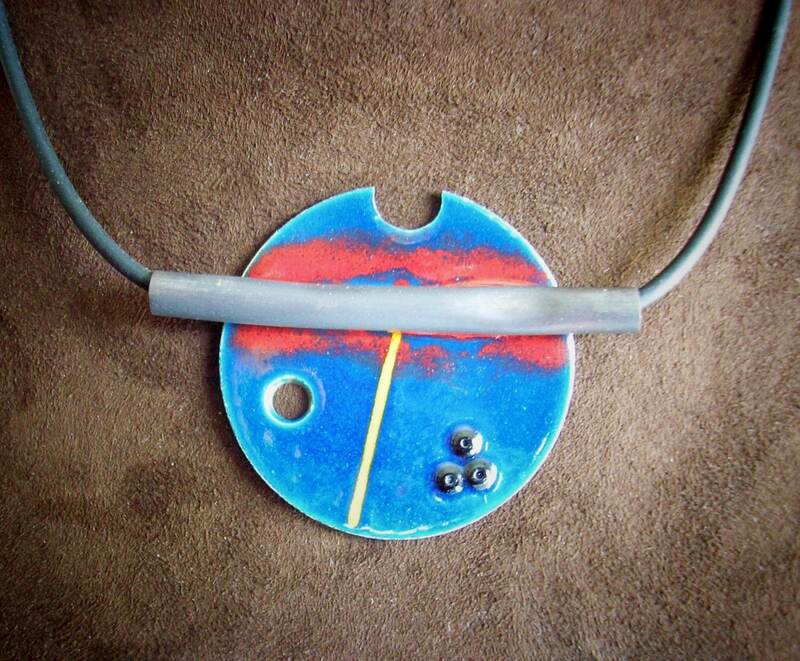 Pendant is suspended from a black rubber neckcord by means of an oxidized and irregular-shaped Sterling Silver tube.